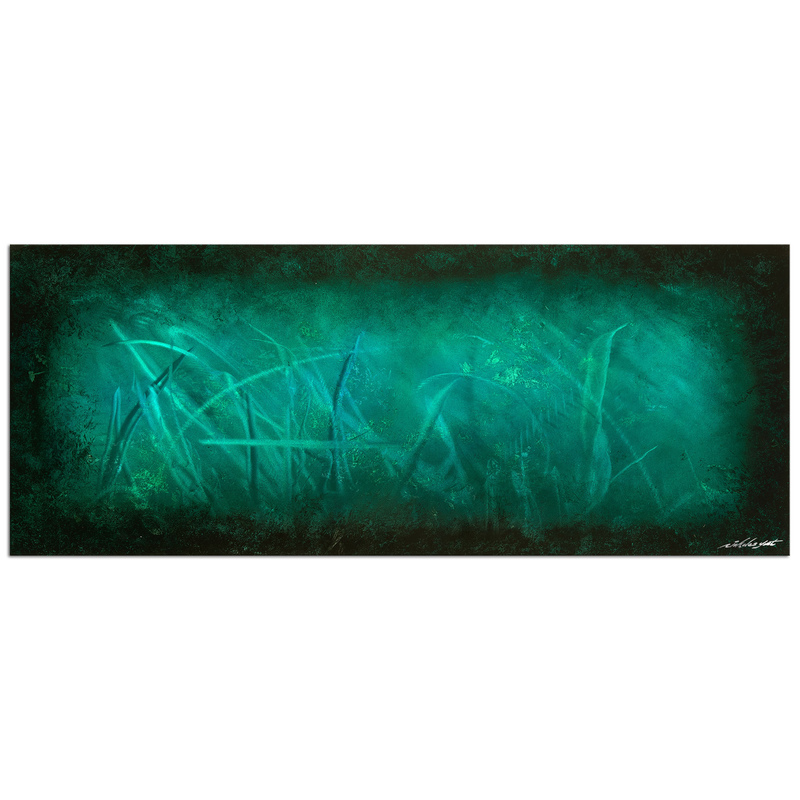 The 'Ocean Mist' abstract metal art piece features a breathtaking black and teal painting originally etched and hand-painted by NAY, now made available to the public for the first time as a fine art giclee on metal. The gorgeous teal coloring and wavy vertical abstract design narrowed through a dark shadowbox border has often been compared to an underwater view of an oceanic landscape or seascape, as seen through the lens of a scuba diving mask. 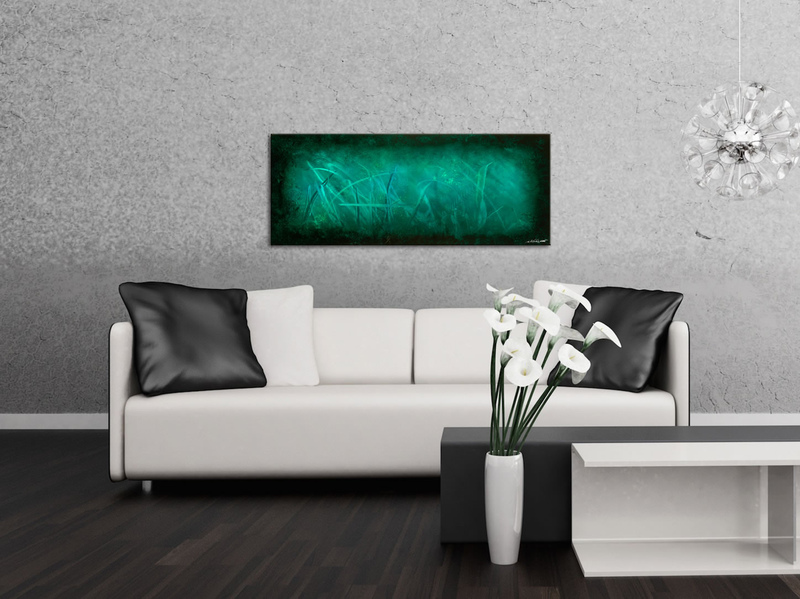 Truly a striking piece and conversation starter, this abstract teal accent artwork will work swimmingly (no pun intended...) in a modern, contemporary, coastal or urban space, or even in a trendy office, restaurant or hospitality setting looking to introduce some attractive teal or turquoise coloring into the wall Decor.